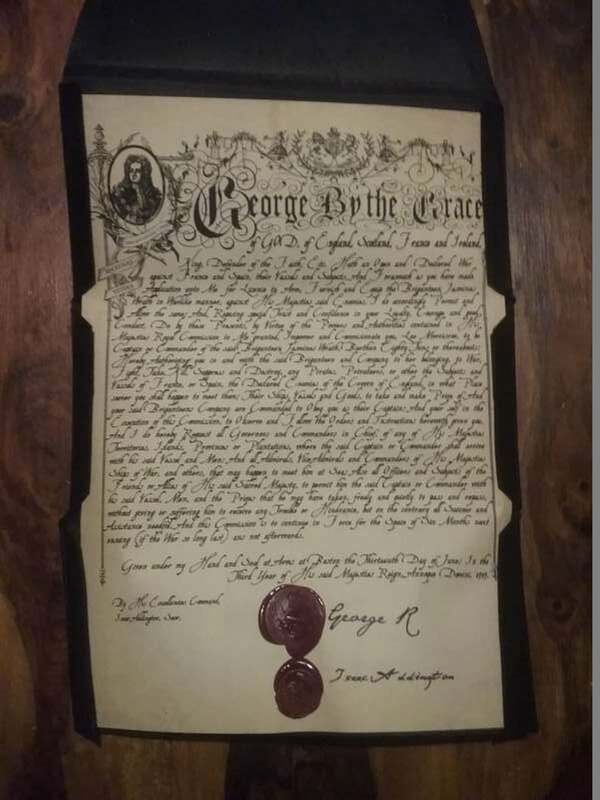 This is a replica of a Letter of Marque that was issued in 1704 by Benjamin Bennett, the then governor of Bermuda giving the recipient the authority to act as a Privateer. 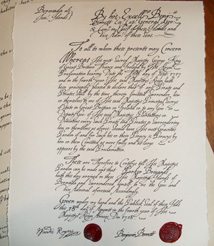 It is 8Â¾" x 14Â¾" and feature a wax seal at the bottom. 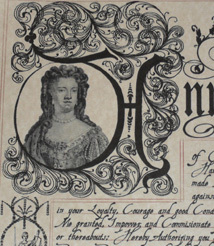 It is printed on period correct laid paper. The document can be customised with your name, the name of your ship and the type of ship.